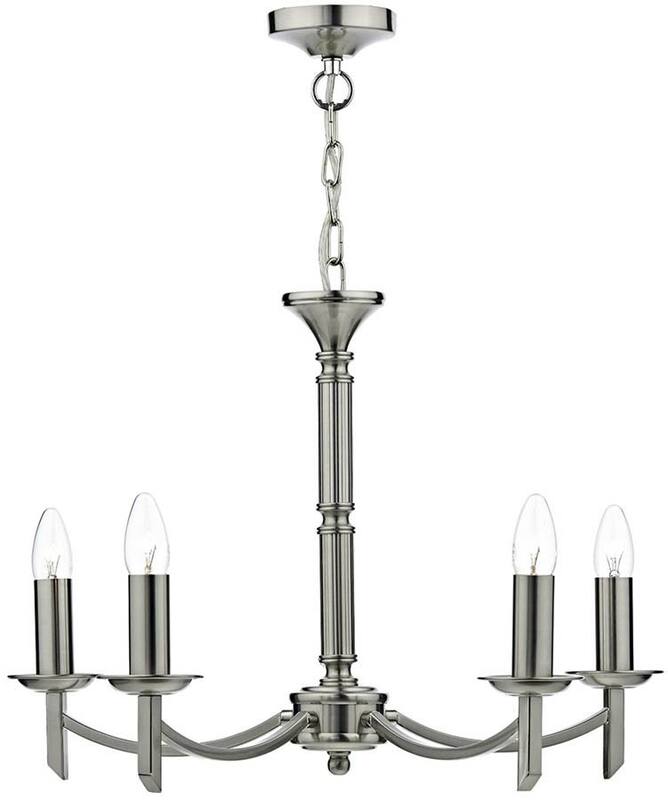 An elegant, traditional styled chandelier, with a satin chrome ceiling mount, suspension chain and ornate central column. 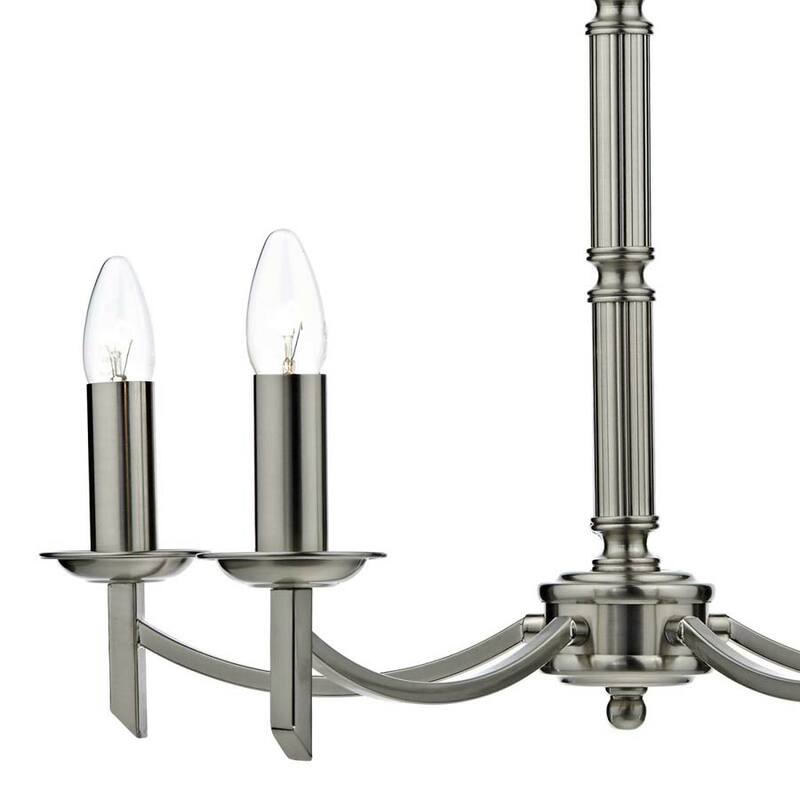 Five flat bar curved arms are finished with metal candle pans and candle sleeves. Supplied with two sets of candle sleeves for use with or without shades. Optional hand-made silk shades are available in twelve colours for this stunning fitting, please order the MUR070 shade shown below. These are made to order in the UK and take around two or three weeks to be delivered. 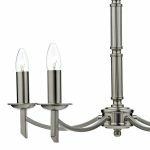 Supplied with 50cm of flex and chain, together with a dual mount system that allows it to be mounted semi-flush if required. Height adjustable at the time of installation, minimum height as a semi-flush 36 cm – maximum drop including chain 86 cm. Other fittings in the chrome Ambassador range can be viewed below and include an eight-light dual mount chandelier and a matching switched double wall light.